2014 saw the third edition of the UK’s most ambitious public arts project, and it could be argued that it was the biggest and best yet. The Triennial was curated for the first time by Lewis Biggs, under the title, Lookout, which was more fitting than Lewis or the Creative Foundation could have expected. As predicted, Alex Hartley and a number of volunteers took their position looking out over the harbour from their Grand Burstin-base camp as part of Vigil. Triennial-goers looked out over the town from the exhibition’s wind-powered lift and over the harbour from Gabriel Lester’s bamboo observation deck. Something & Son’s sustainable greenhouse looked to the future, experimenting with alternative urban food production. The more surprising events included the thousands of people that came down to Folkestone to dig up Michael Sailstorfer’s treasure buried on Folkestone Outer Harbour Beach. The appropriation of disused spaces such as Emma Hart’s installation in a domestic interior and Tim Etchells’ neon text work in Folkestone’s derelict harbour railway station offered a renewed perspective on a familiar townscape. The Creative Foundation team took this one step further by inviting muf architecture/art to completely renovate an area of the Creative Quarter known as Payers Park. Previously a sloping wasteland, it is now a permanent park specially designed for the different needs of people in the local area. In addition to Payers Park, around the third of the works from this year’s Triennial will become permanent fixtures in the town, adding to the permanent collection of Folkestone Artworks that have been created from the previous two Triennials. We shall have to wait and see over the next few months which artworks will make the cut, but one thing is certain – Folkestone has amassed one of the most unique and quirky art collections in the UK, making it quite a special place to live, work and study. More people than ever visited Folkestone for the Triennial this year, cementing it as a one of the South East’s leading cultural destinations. The Folkestone Triennial public programme was buzzing with activity for the duration of the festival. With field trips, artist-led events, historical and community talks, guided tours, family and schools workshops on offer, there was something for everyone. 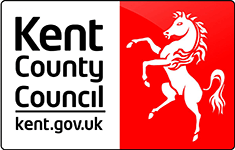 Folkestone hosted two weekend conferences that were a huge success. Leading art world figures such Tate Britain Director, Penelope Curtis, and architect, Sir Terry Farrell, came to Folkestone to discuss and debate topics such as cultural regeneration and the role of sculpture in the public realm. We even saw satellite events take centre stage with the Folkestone Fringe earning critical acclaim this year. Forty projects by over eighty artists were exhibited and produced in a range of public and private spaces. Following the Triennial an independent survey showed that 89.8% of visitors rated the artworks as good or excellent, with 96.3% rating this Folkestone Triennial as good or excellent overall. Qualitative feedback also demonstrated that the visitor experience was greatly enhanced by the quality of Triennial Hosts who were stationed at each exhibit to aid and inform, as well as having a central visitor centre. Audience numbers increased from 51,000 in 2008 and 103,000 in 2011 to 135,000 in 2014. Awareness also leaped from 65 to 88% with a 49% increase in first time visitors. A lively and extensive programme of 203 community, schools, further and higher education events reached 18,402 participants through talks, tours, workshops, conferences and other activities. Catering for all audiences these events aimed to encourage visitors to engage with the artworks and key concepts. In addition Folkestone Triennial received a fantastic level of press coverage with 119 articles printed in regional, national and international publications, 14 radio and TV coverage items and 202 web presences amassing a staggering 1,685,399,535 hits, further establishing Folkestone as a national and international home for contemporary art. It is estimated our 135,000 visitors spent money locally during their stay with approximately £2,700,000 being spent during their stay. Overall direct and indirect impact totalled just over £65.5 million. These figures demonstrate the extent to which Folkestone Triennial has grown and developed. With a focus on engagement and participation new and younger audiences were actively encouraged to explore the world of contemporary art with the barriers posed by more conventional exhibitions removed. This summer Folkestone Artworks, the collection of permanent artworks left behind from the 2008 and 2011 Folkestone Triennials, will be launching an additional 10 pieces from Folkestone Triennial 2014. So why not pay Folkestone a visit and take a tour of the exhibition without walls. 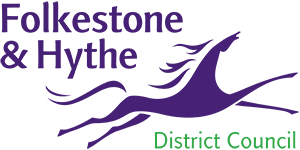 Folkestone Triennial 2014 was supported by The Roger De Haan Charitable Trust, Arts Council England, the Folkestone Estate, Kent County Council and Shepway District Council.